Since 1975 I have been working with some of the leading medical researchers in the world. I worked with twice Nobel Laureate Linus Pauling while a professor at the U.S. Air Force Academy. Working with physicans in the Academy hospital we were contemplating a clinical trial of Vitamin C to see if it reduced colds in cadets. Alas, the administration would not permit it in 1974. However, in 1975 I joined the faculty of the University of Colorado School of Medicine and in 1980 hooked up with Dr. Pauling when he sponsored the University of Colorado Center for Vitamins and Cancer Research (which I co-founded with another senior scientist). I had millions of dollars of grant funding from the National Cancer Center every year for over a decade which got me started on advanced technologies to eliminate disease. A few years ago National Cancer Institute leadership told me I was still on the list of only 300 scientists qualified to lead large grants for cancer research. Linus Pauling (February 28, 1901 – August 19, 1994) was an American chemist, biochemist, peace activist, author, educator, and husband of American human rights activist Ava Helen Pauling. He published more than 1,200 papers and books, of which about 850 dealt with scientific topics. New Scientist called him one of the 20 greatest scientists of all time, and as of 2000, he was rated the 16th most important scientist in history. Dr. Pauling showed me his almost complete DNA model and the data he gave Watson and Crick which he claimed enabled them to publish first and achieve a Nobel prize which Dr. Pauling thought rightfully belonged to him. He is the only human to achieve two independent Nobel prizes and was gunning for a third. He radically changed my thinking about medicine by showing me his lab and introducing me to his fellow researchers. This started me down a path that led to frequency medicine which is now emerging into the mainstream. 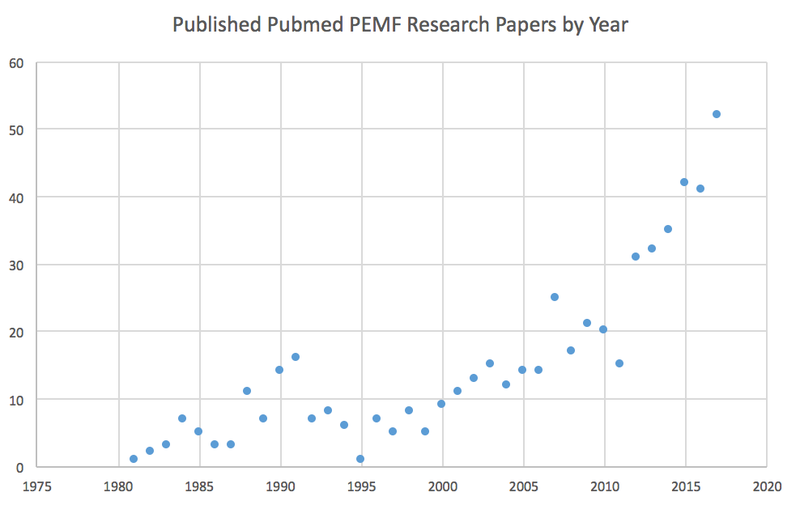 There are 566 peer reviewed medical research papers at PubMed.gov on Pulsed Electromagnetic Frequency research and the number of papers published is doubling every year. This is truly the future of medicine with FDA approved cancer clinical trials now in progress. Even more interesting is using electromagnetic frequencies to reprogram DNA, a more reliable and accurate approach to CRISPR. In 2005, I visited another leading medical researcher, Dr. Terry Grossman, also a graduate of the University of Colorado School of Medicine. He had just published a book with Ray Kurzweil, Fantastic Voyage: Live Long Enough to Live Forever. At that time, my biological age was over 20 years younger than my calendar age, almost the lowest he had ever seen (two Japanese guys had me beat). The Coronary Artery Calcium (CAC) Screening Test was done utilizing Ultra-Fast Coaxial Tomography (UF CT Scan) that was able to image the amount of calcified atherosclerotic plaque in the coronary artery walls of your heart. The computer was able to calculate a calcium score for each region of calcified plaque in each coronary artery, and a total calcium score for the heart as a whole. There are two types of plaque that develop in the arteries: hard or calcified plaque and soft or vulnerable plaque. Heart attack risk appears to be more closely related to soft, vulnerable plaque, but at present we do not have imaging devices able to quantify this type of plaque. The ultrafast CT scan is only able to measure the heart calcified plaque. Since there is a direct correlation between hard, calcified plaque, which your CAC test measured, and soft, vulnerable plaque, higher calcium scores are related to a higher risk of heart attack. Therefore this test offers an indirect assessment of dangerous coronary atherosclerosis. Your ultrafast CT scan of 105 indicated that you had detectable calcified plaque of 105 in your coronary arteries at the 30th percentile. On 20 December 2016, Dr. Grossman reported: Cardiovascular- Your coronary artery score increased from 15 in 2005 to 105 in 2012, placing you in the 30th percentile at that time. Now your calcium score is 399 at the 65th percentile. Explained the creation of a biofilm that protects self-replicating crystals/nanobacteria. My calcium score was 55, a better than 86% reduction. Dr. Grossman said this had never been done before in the history of medicine and results should be followed up with further research studies. At almost 77, I can still get up in the morning and run a mile thanks to this work, although I’m not as fast as I used to be. Work with your own qualified physician to do your own research.